As children grow into their baby teeth and develop their permanent set in adolescence, parents often worry about the kind of habits that they may carry on into adulthood that could lead to problems later on. Fortunately, teaching children how to avoid certain habits while young prevents these possible complications from happening. It’s much easier to recognize and redirect these worrisome patterns early on, and so you should know which are considered the most likely to cause long-term damage. You’re not likely to let your children stay up late on a regular basis, but there may still be family activities or special events where they get to stay up past a usual bedtime. Sleepovers, movie nights or family vacations mean fun for everyone without worrying about a usual schedule. When this includes eating and drinking after hours, it’s far more likely they may resist or skip out on brushing their teeth before a bedtime that’s not routine. While babies cutting new teeth may be known to stick anything and everything they can get their little hands on straight into their mouths, older children can also struggle with chewing on non-food items. If a child seems to indulge in specific non-food items like soap, chalk or dirt, you should consult a physician in case of nutritional deficiencies. Like adults, children can find themselves biting their nails or nibbling on pencil tops without even realizing it. Grinding their teeth at night while they sleep can become a self-soothing habit during the day, as well, which increases the wear on their enamel and the strain on their jaw. This leads to possible permanent damage once their adult teeth start to develop. 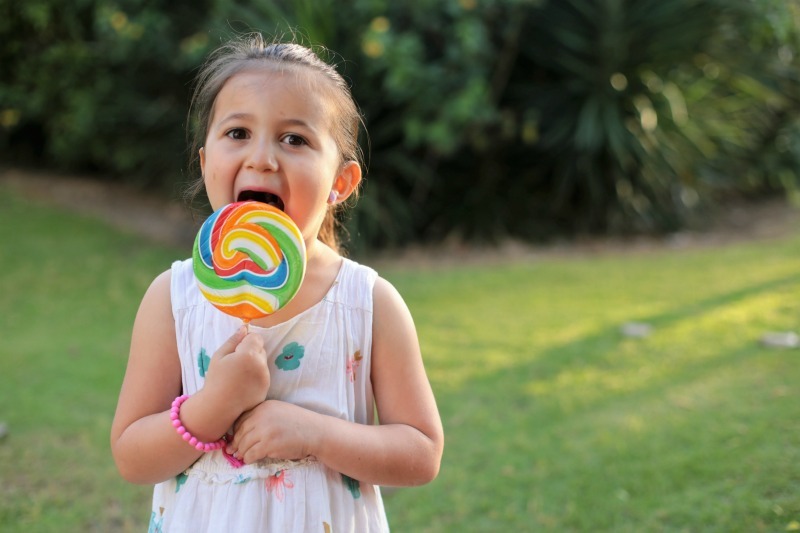 It may seem that all children have a bottomless pit for an appetite, but allowing them free range of the pantry can lead to dependence on junk food and the sugary treats they love the most. Sugar-based cereals and drinks are often the biggest influences on these habits, as well as unplanned and easy snacks like candy and cookies. Proactive oral hygiene means more than just brushing twice a day. A dentist may even recommend not swallowing fluoride toothpaste and also rinsing with water in between sugary drinks like juice or even milk. However, it’s also important to keep an eye out for bad habits like those discussed above. Good habits are best modeled. If kids see you doing those things they likely will do them too. Wow! These are certainly some real issues to be aware of and take measures early on. Thanks for the interesting feature.